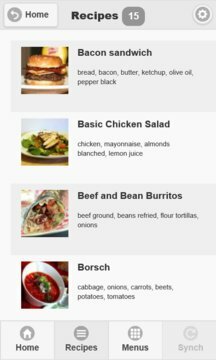 Menu Viewer is a mobile application for users of the EasyMenu application (http://www.easy-menu.co). 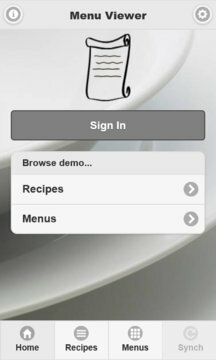 It allows you to synchronize and view your recipes, menus and shopping lists. In order to use all features of the application you need buy the EasyMenu application and use the same login information to log in to Menu Viewer. One of the most useful features of the Menu Viewer is the shopping list synchronization. You can open the shopping list on a mobile device when shopping and mark the already bought items.